AZ Displays provides TFT Panel Solutions for Electronic Testing Equipment | AZ Displays, Inc. The commercial electrical testing market often requires precise, high-quality measurements that can be easily read by the user. Utilizing industrial grade LCD displays with high contrast and sunlight readability ratings are frequent requirements, allowing electricians to quickly and accurately test the quality of electrical workmanship. 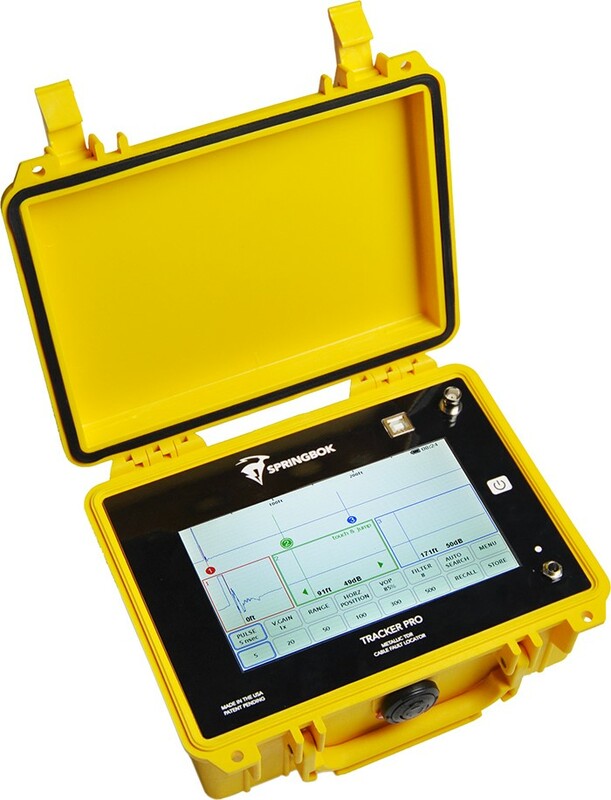 A major manufacturer of electronic testing equipment for low-voltage power copper cables required an AZ Displays solution for a cable-fault locating device in three versions (economic, standard and premium). AZ Displays provided a different display for each model: ATM0430D12M-T, ATM0500D19G-T, and ATM0700D6J-T, three high-bright LCD displays, each with a ruggedized resistive touch panel for use with insulated electrical gloves in outdoor environments. With our high-bright TFT display, AZ Displays addressed all the critical requirements necessary to enable the customer to introduce a high quality instrument to market.